Make Fine Position Adjustments and Lock Them Down! Explore Foveal Mounts . . .
Read about Foveal Mounts . . .
RM2 for medium-sized cameras and small environmental housings. RM3 for large-sized cameras and medium-sized environmental housings. 2-Axis Adjustment of pan, tilt. Reconfigurable to many alternative configurations. Many Hole-and-Slot Patterns to accommodate many cameras. Compatible with the Cognex 5100/5400 series cameras, and the Matrox GatorEye & Iris GT cameras. Both Pan and Tilt axes rotate around the optical center of the imaging element. "Let me drill my own holes or slots!" 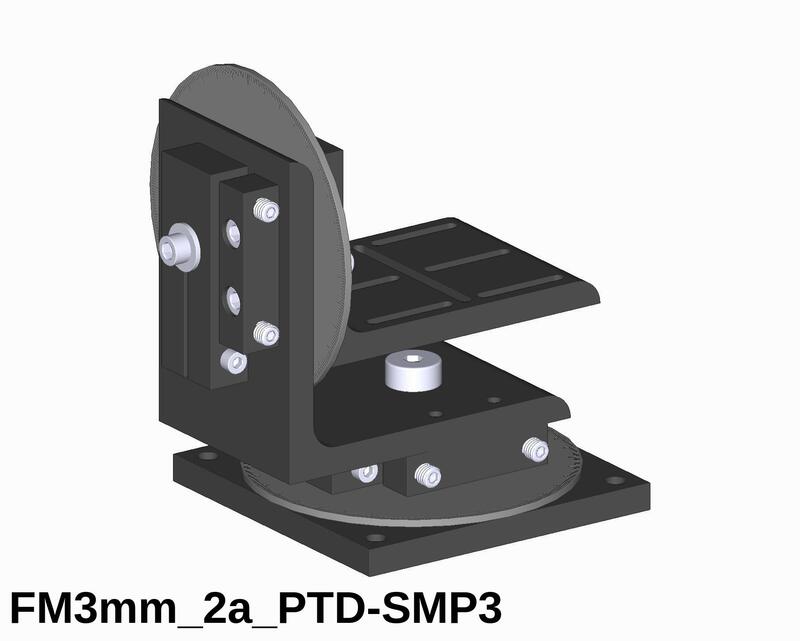 Order the FM0_2a mount with the undrilled Inner-L.
Or we'll drill it to your specification. Foveal Mounts with Pan and Tilt Protractor Dials! 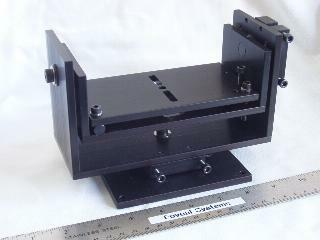 The Foveal Rigid Camera Mounts were created to solve a particular problem, namely to precisely position a camera and then lock it down so it will not move, even under strong "persuasion". The three sizes of Rigid Mount, the RM1, RM2 and RM3 , accommodate a broad range of cameras and environmental housings, and are available in both 2-Axis and 3-Axis models. 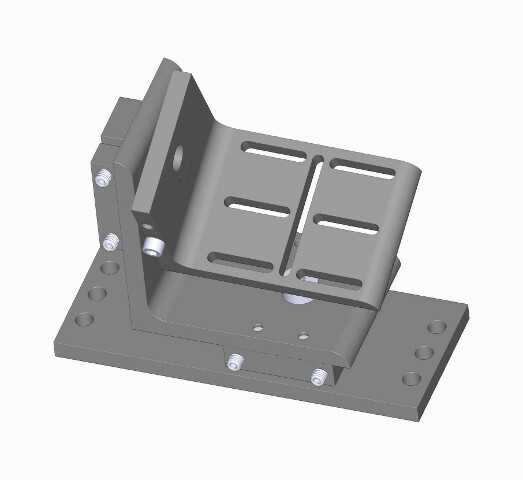 Our favorite story about the Rigid Mount comes from a manufacturing floor where a computer-vision system takes measurements as parts are built. One day the vision system engineer came in to find a tool belt hanging on the camera mount. "I guess it weighed about 35 pounds!" He was certain he would have to realign the camera. That doesn't take long with these mounts but would mean shutting down the line. But he didn't have to make any adjustments. The camera had not moved! The Rigid Mounts work very well. But some potential customers of the 2-Axis Rigid Camera Mounts found they were too elaborate for their applications. So we created the Foveal Fine-adjustment 2-Axis Mounts. While not as robust as the Rigid Mounts, the Fine-adjustment Mounts will work very well in applications where the mount will not be subjected to extreme disturbances.